bool(false) Major Head Scratcher . . .
Major Head Scratcher . . . 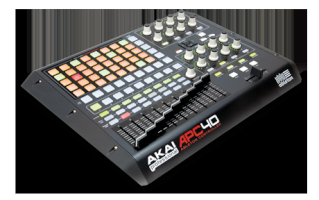 I am trying to trigger clips in Ableton Live from my ASUS laptop with an APC40. My audio interface is the NI AUDIO 2 DJ. The problem is that ableton appears to be getting bogged down. More specifically, when I attempt to trigger more than one sound at a time, at least one of the two clips will play back late and delayed (no quantization) Also, the volume meters do not appear to be moving fluidly. They are behind the actual sound and move stiffly. I've done every optimization tweak that's out there: disabled all unnecessary devices and/or services, and I've tried every USB port in my laptop including a powered hub. I've even tried every buffer setting with no luck. I'm out of ideas. Could it be the interface? Could it be the version of windows? I've been using ableton for over a year with no problems in my desktop (win7 ultimate 64 bit). I moved to the laptop to get ready for some upcoming live performances. I've been working with DAWs for over 8 years now but never a laptop This one has me scratching my head. Somebody please help!! Any suggestions? Re: Major Head Scratcher . . .
Yea that's kind of a no brainer. I actually figured out the problem. It was the video drivers. I accidentally uninstalled them when removing the bloatware off my lapper. I thought it was just the software front end for the card lol.